We love to give recognition to our new friends. Here are the new patients that became members of our practice family this September. We’d like to welcome you & wish you all the best. Sophie Aguilar, Massimo Alfonso, Brooke Brown, John Butler, Siena Cadle, Leyla Calobbuna, Jacob & Noah Castillo, Rowan Cilloniz, Isabella Correa, Asianni Dode, Courtney Falcon, Steven Fullilove, Malik Ghoch, Ethan Godfrey, Lisa Gonzalez, Carys Haesly, Jordyn Hayes, Connor Hodam, Alexis Jette, Garrett & Gavin Jones, Jacob Kerns, Katheryn & Lewis Knapp II, Caden & Laina Mesdag, Emma Monzon, Makenna Morris, Genesis Mutu, Nohemi Navarro, Benjamin Pokroy, Vanessa & Vince Por, Sunjuda Rahman, Miki Ramirez, Audrey Ramos, Citlaly & Leonel Reyes, Liya & Maya Rodriguez, Olga & Reyshua Rodriguez, Scarlett Shepard, Joshua Tiller, Joshua & Ryan Vega, Penelope & Vincent M. Vega, Andrew Walsh, Nicholas Washington, Rachel West, Cooper Whitman, and Avery & Elijah Wu. 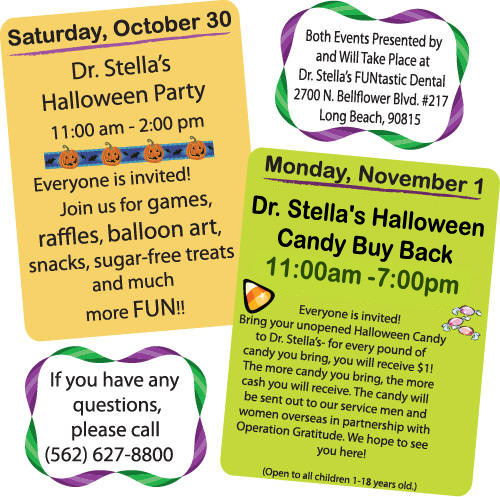 From the desk of Dr. Stella……. We would like to help you in making the best choice. 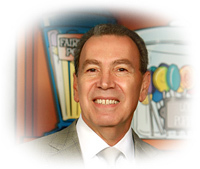 Please call the office now, (562) 627-8800, for your FREE orthodontic consultation appointment. At this appointment Dr. Sanjideh (our incredible orthodontist) will do a complete exam and let you know if treatment is recommended. Also, Veronica or Kerin (our incredible treatment coordinators) will go over your expenses to help you prepare your finances and insurance choices. In addition, having an orthodontic consultation appointment before January 2011 can help prepare you for your medical and dental taxed-free savings known as Flex Spending Accounts (FSA) or Cafeteria Plans. Scott had a problem. Actually Scott had two problems, the second problem being that he didn’t have a clue about the first problem. So what was his first problem? Well, his love of sweets and his careless disregard for his teeth were joining forces and were ready to deliver a knockout punch to his very nice, healthy, set of bright white teeth. Scott could be forgiven his youthful apathy toward his dental health since he was only 12 years old; we still had plenty of time to get him fixed up and on the right path. Luckily Scott’s parents became aware of the problem and got him into our office. It seemed that young Scott wasn’t really doing his nightly brushing and that he had a secret stash of candy in his room. (Something you parents may want to be on the look at for with Halloween and all!). That lack of brushing coupled with the late night sweet treats made for one big bacteria party in Scott’s mouth every night. The bacteria in your mouth (don’t worry every one has them!) use sugar as a source of fuel and as they eat up the sugar they produce acid which in turn starts to dissolve the minerals around your teeth that make your enamel hard. Once the acid eats through the enamel it leaves tiny holes and after a while those tiny holes join up to become one big hole and that my friends is a cavity! And Scott was on the verge of having a lot of cavities if he didn’t control his bad habits. Sometimes a child’s baby tooth comes out too soon. For example, it may be lost due to an injury or accident, or it may need to be removed due to decay. Problems can develop if the space from the missing tooth does not remain open. The neighboring teeth may crowd out the space where the permanent tooth should come in, and other teeth may grow in crooked. To help prevent future problems and avoid expensive orthodontic treatment, we may place a space maintainer. A space maintainer is a dental appliance that fits into the space where a primary tooth (particularly a molar) is missing. It may be made of metal, plastic, or resin materials, and it is created specifically for your child’s mouth. In some types of space maintainers, a band or crown is fitted directly over one of the adjacent teeth. A wire loop or splint, braced against the adjacent tooth, is custom-crafted to hold the space open. In other types of space maintainers, a set of bands and wires are fitted into the arch of your child’s mouth. When your child comes in for regular checkups, we will examine the space maintainer to ensure that it still fits properly and that the area is clean. We will also monitor the emerging permanent tooth, so that when the time comes, we can remove the space maintainer. You may not have thought that it matters very much whether your child breathes through the mouth, but it does. The inability to breathe through the nose leads to mouth breathing, which may be caused by allergies, swollen tonsils or adenoids. These conditions can result in changes in the facial structure, a smaller mouth, or crooked teeth. Children who breathe through their mouth may be smaller in height or weight than others in their age group. Jaws don’t grow together correctly, so problems with the bite may develop, and teeth may grow in more crooked. The child’s head may tend to pull forward to compensate for breathing problems, resulting in a “chicken neck” appearance. The shoulders or collar bones may roll forward. Tongue thrusting may result in problems with swallowing, talking, or the position of teeth. The child may become more self-conscious or lose self-esteem because of these changes in the appearance. Headaches, earaches, jaw pain, and sleep apnea also may result. If these problems are not corrected, eventually your child may need orthodontic treatment. To prevent, identify, and correct potential problems with mouth breathing, usually we recommend that children are evaluated for orthodontic treatment between the ages of 5 and 11. At this stage, the jaw and teeth are still growing, so they will be easier to treat. The earlier that we can address this condition, the more likely it is that we can reverse the effects. Your child may have less pain, easier oxygen intake, a better night’s sleep, a more natural profile, and a beautiful, healthy smile.